AntiJam Electric Stapler staples up to 45 sheets of paper using B8 Power crown staples. Optical trip-fire mechanism delivers quick stapling with anti-jam feature. 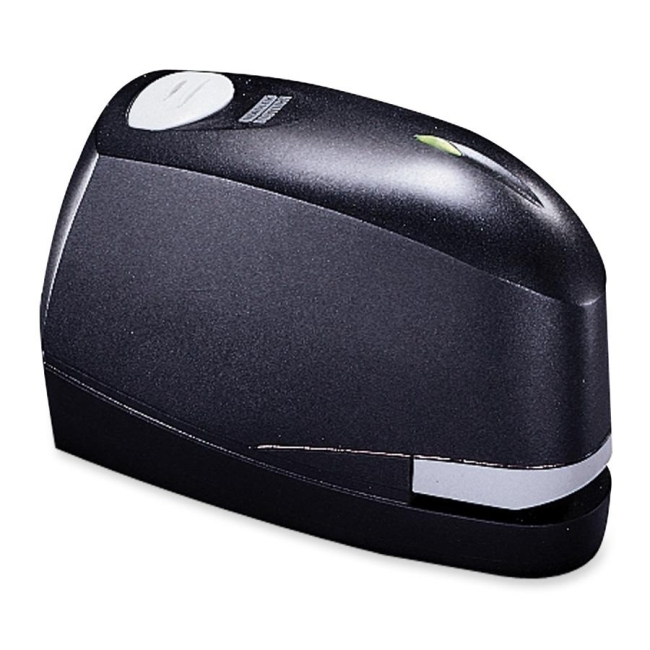 Stapler features easy front-loading, 6' power cord, 210-staple capacity and a low-staple supply indicator light. Stapler includes 5,000 1/4" staples. UL and CSA approved.